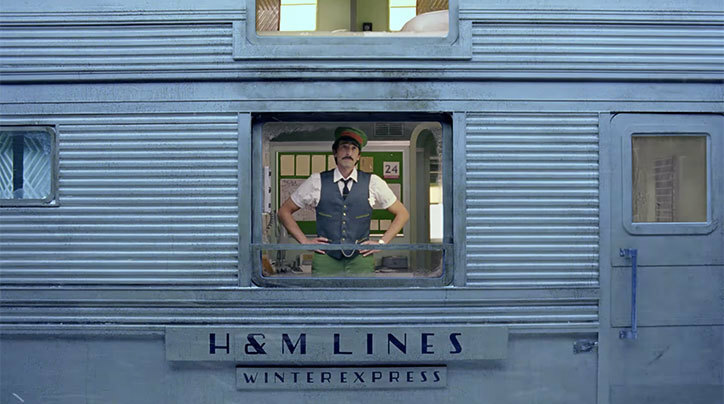 The short film uses Wes Anderson’s signature devices (straight-on shots in framed compositions) particularly at the start when we’re introduced to the characters through their windows. It’s also packed with beautiful scenery and warm colours, while H&M’s clothing range is shown subtly throughout. This short reminds me of the Academy Award winning 'The Grand Budapest Hotel' (one of Anderson's best films) in it style and tone. Ending with the uplifting John Lennon and Yoko Ono’s classic 'Happy Christmas', for me, this film is definitely a front-runner for the most memorable ad this Christmas.